Piracetam is one of the oldest and most well-known nootropic drugs because it was synthesized and discovered in the 1960s. A Romanian scientist developed piracetam for other purposes and it wasn’t until 1972 that it was utilized for cognitive enhancement. Since then, studies in animals and humans have shown this to be one of the most influential smart drugs on the market. It is also one of the best places for a beginner to start with nootropics. Not everyone should take piracetam and in many countries it is actually a prescription drug. However, if you are interested in cognitive enhancement and want to improve your memory, it is a good idea to understand the basics of this compound and how it might be able to help you. There are a few theories about how piracetam works in order to improve memory. In scientific circles, this is called the “mechanism of action,” which is not completely understood. Some well-respected theories suggest piracetam modules the AMPA receptor and acts on ion channels to increase neuron excitability. Piracetam also helps to increase oxygen and acetylcholine consumption in parts of the brain, which would result in deficiencies for some people without proper supplementation (see more on that below). The drug also helps to restore membrane fluidity of compromised neuronal cells and modulates steroid-sensitive protein synthesis. In scientific terms, there are a few suggestions about the way piracetam works to improve memory. Most people are inclined to believe it increases utilization and uptake of piracetam into the brain so that one can improve cognition through those channels. Due to the age of piracetam, there have been countless studies of the drug to show a wide range of benefits and a lack of real side effects. 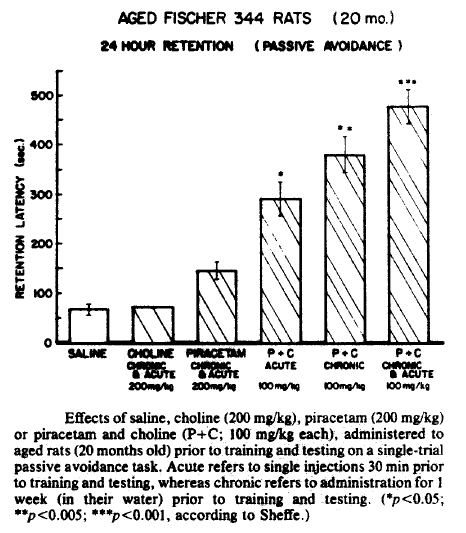 The earliest studies in the 1970s showed that piracetam could improve memory in rats. It wasn’t long before they combined choline supplementation with the piracetam and saw even higher memory improvements over time. One major study in 1976 was performed on healthy college students to test verbal memory. With a double-blind, placebo-controlled study, the drug was shown to vastly improve memory and cognitive abilities. The support for piracetam as a nootropic drug increased dramatically over the next few years and in the early 1980s more studies showed the synergy between piracetam and choline. When combining piracetam and choline, studies have shown a great improvement in cognitive abilities. The two are linked because of piracetam’s possible mode of action, which has the drug utilize more acetylcholine for the cognitive enhancement. 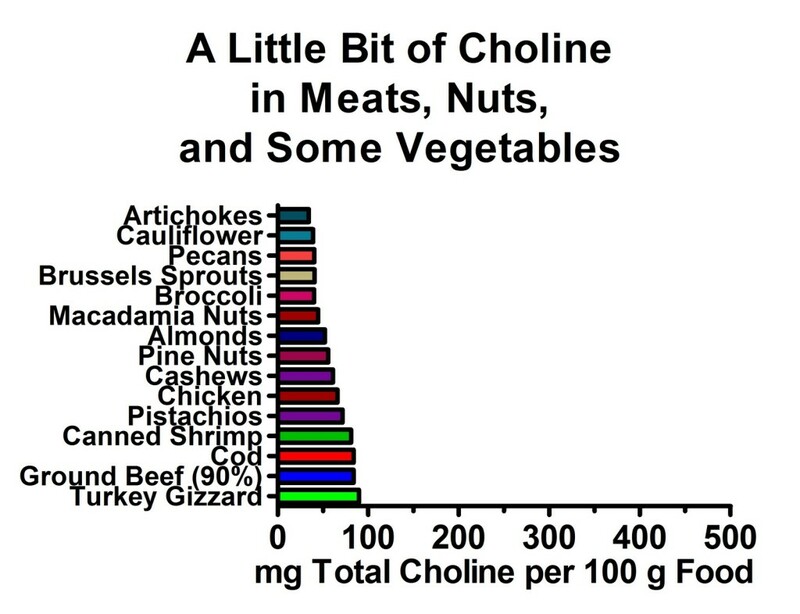 In many people, this is not the case (such as those who are not choline dominant), however it seems to be a useful tool for the majority of the population. It also can prevent some of the most common side effects (such as headaches), which a lot of people go through when first starting out with piracetam. For the elderly, the combination of piracetam and choline may be even more important. This can help to restore some of the neurological degeneration that occurs due to age. The best types of choline to use with piracetam will vary by the person, but typically it is better to use alpha GPC or CDP choline. Both of these two sources are well-known to have a higher choline percentage by weight, which makes it easier for the brain to create acetylcholine. Also, CDP choline is broken down into uridine in the body, which is one of the best ways of improving long-term cognition as well. The choline bitartrate and lecithin options are not very good in terms of providing your brain with the precursor it needs. This is why some people are taking in the 4 – 6 grams dosage range, which is beyond what is recommended in most circles. Many studies show that the combination between piracetam and alcohol may have little effects in acute situations. Some people report becoming intoxicated quicker with piracetam, but the majority of studies deal with piracetam and the effect on the brain in those with alcohol-related withdrawal symptoms. People who have a lifetime of alcohol abuse can typically see cognitive enhancement through the use of piracetam. The degraded neurological connections are either restored or the process of decline is reversed. Problems with toxicity are rarely a problem due to the fact that piracetam is not that potent of a smart drug. Previous studies of piracetam have showed rats have no irreversible effects with extremely high doses of the drug. Even though it has not been replicated in humans (for obvious reasons), it is important to see how it effects rats. We do not recommend anyone take more piracetam than recommended, but due to the relatively low potency, piracetam has fewer risks. A lot of people also notice that anxiety and depression can be reduced with the use of piracetam and other analogues. While aniracetam seems to be a more effective treatment of these disorders (and even post-traumatic stress disorder), it seems that piracetam has similar effects. A lot of people who are unable to cure their depression through traditional routes often look for piracetam as the solution. Typically, the people who are using piracetam for cognitive enhancement are taking higher dosages than the other analogues. While piracetam is a generally safe drug that goes well with a number of other compounds, it is important to take it carefully despite the lack of potency. It can be easily mixed with compounds that are not necessarily healthy for the user to ingest. Make sure that you also try to take choline supplements with the piracetam to prevent any of the side effect problems that might occur.